Maybe you're curious about Jesus, you're new to the faith, or you've been a Christian for a while, but still have questions, come check out this group! What is the real message of Christianity? Why is the Bible important? How do I learn to follow Jesus Christ? What does it mean to be a Christian and what does it not mean? Start date & time: Sunday, October 8th. 6:30-8:30pm weekly at The Journey, in the Fireside Room. Contact Wendy Boswell for more information! Getting the Most out of the Bible! 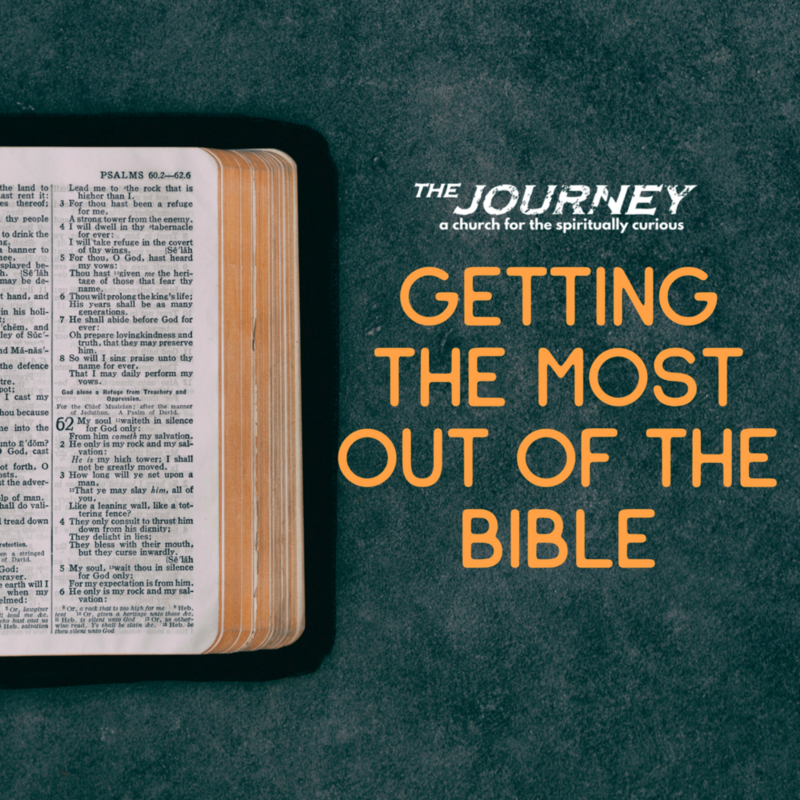 Some of the most common reasons people have a hard time reading the Bible are that it's hard to understand and they don't know where to start. If that's you or if you'd just like to grow in your ability to read and study Scripture, this group is for you! We will cover topics ranging from what the Bible is, how we got the Bible, how to understand it, and how to apply what we read to our daily lives! Start date & times: Every other Monday at 6:30pm started Sept. 18th at The Journey, in Room 3. This group is for those who are ready to move beyond the "honeymoon" stage in their Christian faith...a sort of next step in their journey with Christ. If that's you and you're ready to take the next plunge into a deeper, more exciting adventure with God, this may be the group for you! Growing And Loving Servants is a great group for women to get together and connect! This fall we will be starting a mini-series from a book called Faith, by Heather Bixler. Starting date & times: Every other Monday beginning October 2nd (ending Nov. 13) at 6:30pm. This group is for men of all ages, no matter where you're at in your faith. We will continue our trek through a book called The Measure of a Man, by Gene Getz. Starting date & times: 8:30am on the 2nd & 4th Saturdays of each month at Awakenings Coffee House! Join us every or any Wednesday morning at 7:15am at The Journey to pray! This group is open for anyone who wants to come pray, learn to pray, or be prayed for!